Join us for the premiere event of Water Cooler Baseball! 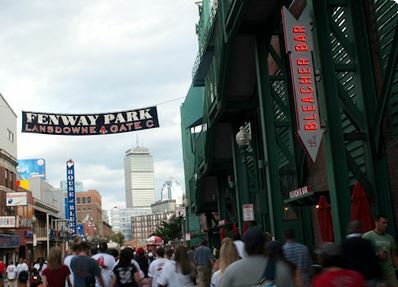 Baseball is THE national sport of the U.S. and our very own Fenway Park is the oldest stadium in history still in use. While you may already know that three stikes make an out and four balls cause a walk, you will also learn what a “can of corn”, a “balk”, and a force out are. Additionally, you will learn how to read baseball stats and steal 1st base. Did you know that each baseball game has a possibility of 12, 386, 344 different plays? It’s hard to believe with the snow outside, but the clocks have”sprung forward” and now it’s time to hear the crack of the bat. This is your chance to get in early. We picked an amazing location – RIGHT under the Green Monster at the Bleacher Bar. We will also be honoring and fundraising for Pete Frates, a former Boston College baseball captain from Beverly, Ma., who was diagnosed with ALS, Amyotrophic Lateral Sclerosis, just last year. Join us to fight for Pete and celebrate baseball! If you can’t make it, but would still like to donate to The Pete Frates Fund, please visit Pete’s webpage, http://petefrates.com, to make a donation. More details soon! Look forward to seeing you there!